Across all industries, many employers view the MBA as a required credential for top leadership positions. According to Forbes, 29 of the top 100 best-performing CEOs in 2017 had a Master of Business Administration (MBA). There are many types of MBA concentrations, such as accounting, cyber security, financial services, information technology, marketing, and management. Students can personalize their degrees these specific areas of interest to gain the most out of their experience. Each MBA concentration provides students with the additional education and experiences that increase their potential for success. An MBA in Accounting can start a student on the path to a rewarding accounting and financial career. Along with eight core MBA courses, students receive a behind-the-scenes look into business processes through coursework in tax planning, decision-making, financial statement analysis, strategic accounting issues, and forensic accounting. By the end of the program, students have had opportunities to improve the following skills, which may help them to succeed in an accounting role. After graduation, students with an MBA in Accounting often pursue careers as accountants or auditors. To become accountants, professionals must attain the title of Certified Public Accountant (CPA). In fact, the law requires that all accountants who file reports with the Securities and Exchange Commission (SEC) be CPAs. In addition to passing an exam, becoming a CPA requires a specific number of semester hours. Aspiring accountants usually obtain these hours through bachelor’s and master’s degree programs. That said, according to the American Institute of CPAs (AICPA) the specific criteria can vary by state. The Bureau of Labor Statistics (BLS) also reports that CPAs who want to become auditors will need additional certifications, such as the Certified Internal Auditor (CIA) certification or the Certified Information Systems Auditor (CISA) certification. Cyber security MBA graduates have a chance to start their careers working as computer network architects, project managers, information security analysts, or software developers. Specific roles may require additional accreditation, such as the Certified Information Systems Security Professional (CISSP) certification, according to BLS. Many graduates pursue analyst or manager roles in financial institutions or organizations. A license through the Financial Industry Regulatory Authority (FINRA) is required to sell financial products, according to BLS. Some employers may need other certifications, such as the Chartered Financial Analyst (CFA) certification from the CFA Institute, for roles such as portfolio or fund manager. Graduates commonly pursue management and leadership roles such as business operations specialist, management analyst, and administrative services manager. BLS notes that professionals who wish to move into consulting may need to attain the Certified Management Consultant (CMC) accreditation. Many MBA in Health Administration graduates have the chance to attain positions as medical and health services managers. According to BLS, the need for medical and health services managers is expected to increase by 20 percent between 2016 and 2026. Most states will require candidates to pass national and state exams or have previous work experience in a healthcare facility to work as a manager. After graduation, students have the opportunity to pursue leadership roles such as HR specialist, labor relations specialist, and HR manager. While employers hiring for executive-level jobs may require a master’s degree, additional certifications aren’t typically needed. However, according to BLS, professionals who wish to establish further credibility in their fields can attain certifications through associations such as the HR Certification Institute (HRCI). After graduation, students may begin their careers as market research analysts, marketing managers, sales managers, accountants, or auditors. According to BLS, most higher-level roles in IT, such as data processing manager and IT management consultant, require professionals to have at least five to 10 years of work experience. However, professionals with previous work experience and an MBA can potentially decrease the time needed to move into these higher roles. In addition to advertising, promotions, and marketing managers, graduates may also pursue market research analyst and public relations manager positions. Marketing professionals are not required to complete additional certifications; however, companies such as Google and HubSpot offer classes specific to advertising and email marketing, according to CIO magazine. After graduation, professionals have the chance to seek out project manager roles in their preferred industries. Healthcare, manufacturing, construction, information services, and publishing are just a few of the industries looking for project management graduates to deliver innovative and effective projects. These jobs could include managing daily operations, planning HR and material uses, and creating policies. Many professionals pursue a certification from the PMI to increase their credibility and work opportunities. 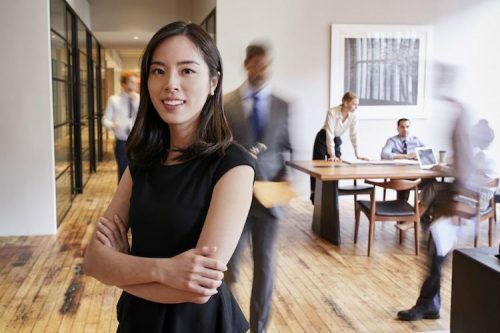 Whether a professional is looking for a career change or requires updated credentials for a promotion, each type of MBA concentration can open the door for potential career advancement. With customizable options to match each student’s career goals, an MBA from Maryville University can possibly propel you to the next professional level. Start today and learn more about how Maryville’s online Master of Business Administration concentrations can help move you forward.